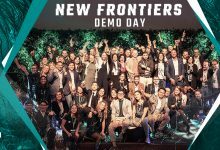 Amsterdam, 9 February 2018 – Yesterday, Startupbootcamp FinTech & CyberSecurity – the first global growth program focusing on FinTech and CyberSecurity, hosted their second Demo Day at Rabobank Headquarters in Utrecht. 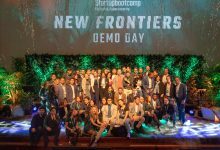 11 international startups and 1 scale-up showcased their innovative ideas in front of 400+ startup and tech influencers, mentors, partners, and investors. The journey of the 12 teams started in September when they were selected out of more than 500 applicants from 73 countries. The companies then went through an intense 3-months growth program in Amsterdam, starting off on 30th of October 2017. New partnerships and milestones were announced by a number of startups, including more than 2.5 million euros of combined investments already committed so far. 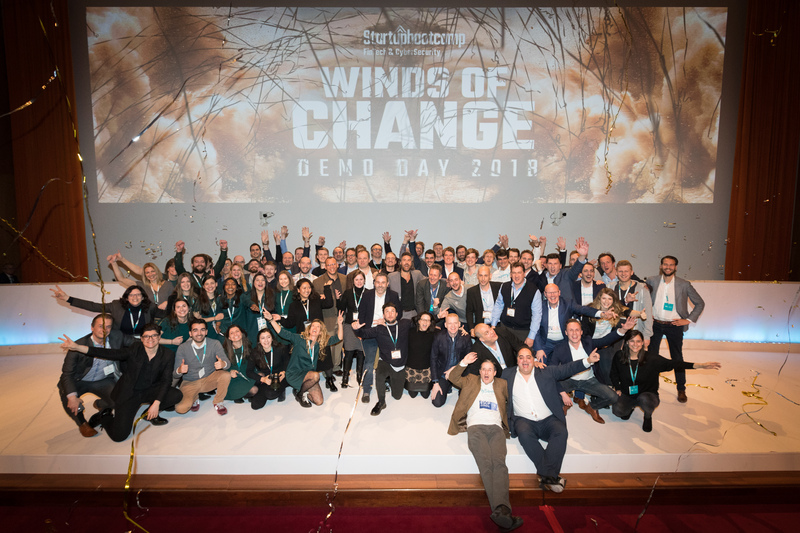 Throughout the program, the teams were mentored by a network of leading entrepreneurs, top executives, and investors, and received support from Startupbootcamp partners, such as Rabobank, ING, ABN AMRO, Moneyou, PGGM, De Volksbank, Achmea, Nationale Nederlanden, PwC, Vivat, Capgemini, Comsec, and de Nationale Politie. The startups and scaleups cover various aspects of services and verticals, ranging from Pension Tech, Customer Loyalty, Challenger Banks, Financial Well-Being, to BlockChain, and CyberSecurity. These technologies cover major elements of the future of the financial services industry. 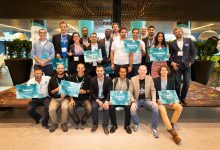 The startups will now put their names in the spotlight of the FinTech and CyberSecurity sector and continue to be supported by the Startupbootcamp Global Alumni growth program, which connects close to 600 startups worldwide. Now it is time for these new ventures to continue to capitalize on the exposure of their Demo Day, validate their business models and execute their growth plans by working closely with their stakeholders. Dolphin Blockchain Intelligence (Russia) ICO database and analysis platform to support investors in making quick and informed decisions. INSIGHT: Received a lot of traction amongst private investors, funds, and corporates in the Netherlands. FinCom (Israel) A developed proprietary technology that ensures compliance for KYC, AML & GDPR privacy by using phonetics and AI to match entries across any database even if misspelled and in 23 different languages. INSIGHT: Developed the only technology in the world based upon phonetics which enables to combine databases, match entries across languages and eliminate human error. Gyomo (USA) Gyomo utilizes just-in-time training, that combines machine learning, gamification, and crowdsourcing to deliver training right when people need it most – when they’ve clicked on a suspicious link. 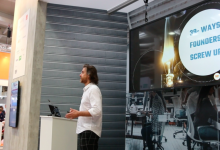 INSIGHT: Through the SBC partner connections with companies like Vivat, Rabobank, PGGM, de Volksbank, Capgemini and ABN Amro, Gyomo was able to learn more about the Dutch market. The big difference is that the US market is more interested in security over the product. Hatch (Great Britain) A Smart Financial Platform for the Self-employed with credit scoring at its core and a banking experience that feels more like Facebook. INSIGHT: Being in such close proximity to a perfect crop of potential partners from the likes of ABN Amro to Capgemini has been invaluable for both validation and expediting traction. KlippaCast (Netherlands) Solving the paper receipt chaos. Unlocking data potential and making administration seamless. INSIGHT: Just completed a successful 100k euros Leapfunder funding campaign within 3 weeks. 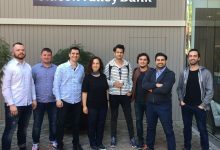 OpSeeker (Spain) An online financial coach that empowers young people to have money for a lifetime. INSIGHT: They are signing agreements with two of the largest financial institutions in the Netherlands (Vivat and Rabobank) and have been able to meet with another handful of them during the program. Penstable (Denmark) Offers Europe’s first pension alternatives exclusively based on sustainable investments. INSIGHT: Collaborated with some of the leading pension and insurance companies in Europe on creating an engaging and interesting digital experience for pension customers. Stampwallet (Curacao, NL) We make your loyals feel like royals and help you gain access to real-time insights and data through our loyalty transaction platform for B2B and B2C. INSIGHT: Signed agreements with 3 big companies during the program and working on partnerships with established names in the Netherlands. Treasury Delta (Ireland) A lead generating platform for commercial banks to grow their domestic market share and penetrate new markets. INSIGHT: Successfully put in place a number of commercial agreements to refine the value proposition and product offering for both banks and corporates. Vision Tech Lab (Portugal) Distributed deception platform that identifies internal attackers and inhibits their methods using powerful AI technology. INSIGHT: Awarded a certificate of excellence by the European Commission, and now working with Dutch banks and insurance companies to develop pilots to integrate into their security policies. Westgate (Great Britain) Virtual networks which are incredibly simple to setup and tear down, allowing organizations to collaborate efficiently and securely with minimal hassle. 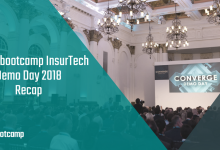 INSIGHT: Collaborating with the corporate partners on a workshop, and now looking at how their technology can support one of the largest fintech hackathons in the Netherlands later this year. FinBase, MijnGeldzaken.nl (Scale-Up, Netherlands) Helping employees and consumers understand their personal finances so they can make well-informed decisions in private life and career. INSIGHT: Winner of several awards, mentioned in a number of corporate labor agreements.